Starting over 95 years ago when Jacobus Gerardus Akerboom brought his passion for Horticulture to Bridgeton, NJ from his native Netherlands; J.G. 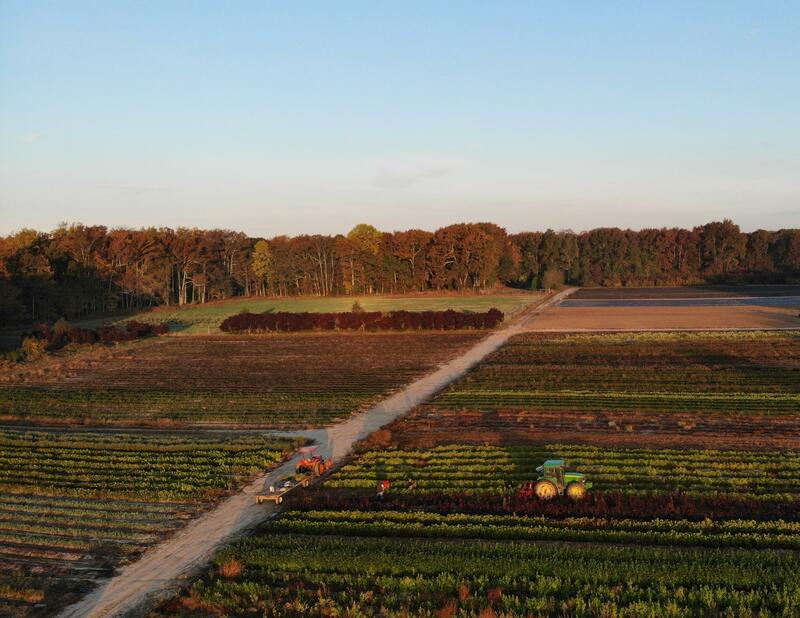 Akerboom Nurseries was born. The focus of the Nursery at the conception was specialized field grown shrubs and Conifers to service the local and regional Garden Centers and Landscape trade. Through the excellance in quality and production, the operation moved to the current location in Cedarville NJ in 1966. Jacobus's daughter, Rachel and her husband James E. Sherman assumed operations of the Nursery in the Mid 1960's until their two sons, John and Brian took over in the early 1990's. Through the lessons of our Generations, it was learned very early to FINISH a high quality plant, it must start with a high QUALITY liner. While the nursery always produced our own Liners, it was not the main focus of the operation until the 1990's when John and Brian saw the market need for HIGH QUALITY liners. By the early 2000's the direction of J.G. Akerboom Nursery transitioned out of Finshed Nursery stock in to becoming one of the PREMIER Liner producers of 1 and 2 year old seedlings, fully rooted cutting transpants and potted grafted liners. We invite you to experience the quality of our ROOTS that have yielded much success for our valued Customers.